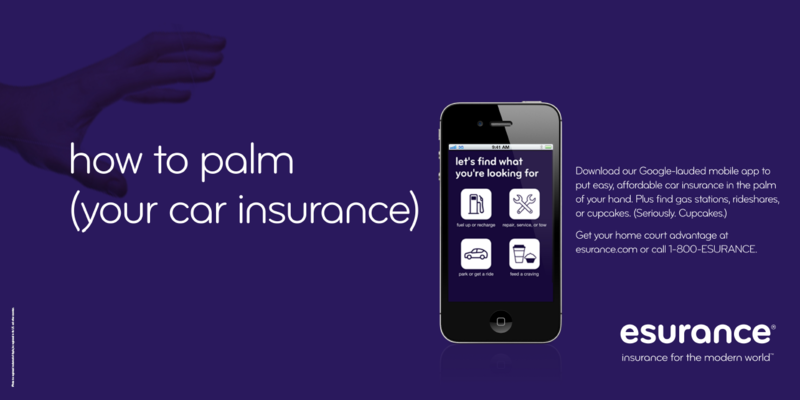 Esurance, an Allstate company, sells auto, motorcycle, home, renters insurance directly to customers. 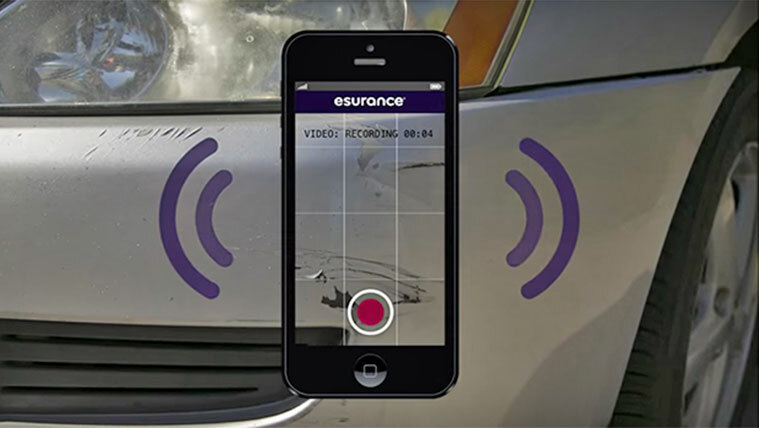 With 17 offices nationwide and 3500 associates eSurance currently has over 5 million vehicle policies. Revenues for 2012 were reported as over US 1 billion. If you need customer service for any policy you may call 1-800-378-7262. You may also find help here for claims as well as see daily photos of your repair. If you want to send postal correspondence to the President, Jonathan Adkisson, you may send it to him at 650 Davis Street, San Francisco, CA 94111. The corporate headquarters office number is 415-875-4500. Esurance was founded in 1998 as insurance for the modern world. You may find social media presence for them on Facebook, Twitter, Linkedin, YouTube and Google+. brian Wiegand has made my claims experience the most humiliating and horrible time I've ever had; He has insinuated that I am a liar and has made my time without my car exceed any acceptable limit. I would give 0 stars if it were an option. I had esurance and was considering continuing using their service, however, their customer service is the absolute worst I’ve ever experienced. I called in and spoke with a woman named Amanda who proceeded to tell me to just email her for assistance as it was faster for her to respond, has not answered a single email. Called in for further support. The man who I spoke to was extremely rude and even hung up on me. I obviously chose to move my policy to a different company at this point. I want to know why is it taking so long to settle my claim TXA0220314. I have a car that I am still making payments plus paying insurance for 2 months and have not been able to drive it . Every day I don't have my car it is costing $35.00 a day . I would like an answer within 3 working days . January 22nd, 2019, I had an accident with an eurance member. Esurance agent,, Christine Wallace 605-782-2866 promised to call me back on two occasions and it never happened. I even paid the $ to download accident report and send it to Ms. Wallace. I was told the insurer might now have insurance and have not yet been notified and have been left hanging on situation. This company has the WORST customer service I have encountered in years. I have been with GEICO for many years and the more I see of other insurance companies the more I KNOW GEICO ROCKS!!! Esurance should be taken off the market as down-to-earth folks, such as myself working over 30 years federal civil service to include seven and half years Active Duty Army should be given more respect than I have been shown. I'm tired of calling and giving all the information and will consider my accident a loss on my end. SHAME ON YOU ESURANCE FOR YOUR HORRIBLE CUSTOMER SERVICE. I got in a accident 10/10/18 by a vehicle that was insured by essurance. This vehicle rear ended me at a red light which caused my car to hit the vehicle in front of me. There were many witnesses who seen the crash, and heard the at fault driver admit her fault by saying she was not even looking at the road, she was rushing to get to the hospital because her father at emergency surgery. My car was totaled, esurance client was the at fault driver, and the amount that assurance offered was not enough to buy me the same year, make and model. First the claims agent told me to find the same approx the same kind of vehicle I have and send her the prices, she said it could be the same year or a year older. I sent her the prices, she refused contradicting herself basically saying they won't cover a car which is one model year older then the one I had, which she previously had said she would. Now after threatening to take the responsible driver and esurance to court, this claims adjuster is now lying saying the accident was not their clients fault. Because of this accident I suffered injuries along with the passenger in my vehicle, I lost my job because I wasn't able to go to work, now I have to pay out of pocket to replace my car that was in excellent condition and running great?? I am the victim of an accident, why do I have to beg to be treated fairly in a situation that wasnt my fault?? I would like some help resolving this matter before I escalate it to the courts. Esurance has the worst customer service I’ve ever experienced. My husband and I spoke with agent couldn’t help place us on hold without asking. Supervisor Lisa didn’t acknowledge our concerns. Manager Pat was so confused I requested that he place my husband and I on hold. I repeatedly questioned him and repeatedly repeated what he was saying to confirm if inheard him correctly. He said that was not what he said both my husband and I said you did. We were so tired of listening. I requested corporate phone number and and address. Pat gave me this # 890-553-3056 and that would be the # to esurance holtline REALLY! So I called spoke with Chris he was even worse he said he needed to get verification from my husband to speak with me I said I’m his wife you don’t need verification I’m providing you with the information he clearly stated that he said you’re not authorized to speak. Again I am his wife. We got not resolved. So we canceled the policy and then felt relief. I am currently going thru a divorce. Standard court orders are that no insurance policy be changed. My ex husband has been changing our policy access and has now locked me out of tne policy completely. Esurance was sent copies of tne court order and refuses to comply and restore my access. my policy to be canceled on Apr 7th. Totally! Not agreeing, I told Matt that there's no way and no logical explanation as to why I would cancel my policy early, leaving me without insurance for a month, but paid Geico on Apr 26th and not starting it until May 7th, a day before my policy with Esurance was to end, when I could have started it on the 26th and canceled Esurance on the same day; on Apr 16th Esurance also took a payment out. There's no logic behind it, other than an employee mistake! She should have been more inquisitive as to why anyone would cancel their policy before the new one is scheduled to start (bad customer service)! I told Matt that obvious there's something he could do but chose not to! That I believe there's no way it makes sense to him either! I also told him that I plan to go higher because I feel I've been wronged! I do believe he could've rectifyied the problem by updating my information to show that the policy never lapsed because he knows something went wrong on their end, but failed to do so! As a very unsatisfied consumer, I'm contacting corporate as well as Consumer Affairs so my story will be heard on a higher level! I'm sure I am not the first who've gone through this, probably won't be the last! I'm speaking out in hope of making a difference! Signed, disappointed consumer! I had esurance for many years and never made a claim. I made one on Tuesday the 28th of March 2017 because a deer ran into me so I filed a claim and they're going to fight it worse experience ever so far worse insurance company ever never go with this company. Esurance needs to stop taking money from my account. What is the best way to contact headquarters and complain about an employee? The live chat options on the website are of no help either. This is the second time that I have gotten screwed by Esurance. I went with them for insurance because they were the cheapest, but a few claims later I realized that you generally get what you pay for in life. This will be my last time to use Allstate/Esurance for quite a while. I would rather spend my money where I can get great service when I need it later. I have also filed a complaint with the better business bureau along with Esurance corporate offices. My husband and I recently applied for homeowner insurance coverage through Esurance in the city and state of Tallahassee, Florida, for a new property we closed on October 31, 2015. We had three different quotes. Two were around the same annual amount, but the Esurance amount was about $500 more annually. We made a decision to go with Esurance because since 1986, almost all of our adult and married life, we always had homeowner's insurance coverage with state farm. So, Esurancev was who we were familiar will for almost thirty years and we were willing to pay the higher premium amount. We have lived in several different states, Alabama, Nebraska, Georgia and now Florida and always have had all of our insurance; auto, homeowner's and life with state farm. Esurance was all we knew. We had recently relocated to Tallahassee, FL about a year ago from Athens, GA for work. We left all of our furniture in storage back in Athens until we could find a house in Tallahassee, so we rented a furnished home for about a year and one month. An escrow account was setup through the mortgage lender for the homeowners insurance at closing. About two weeks after closing on our house, we received a letter from Esurance indicating they had drop our homeowners insurance effective December 2, 2015. Imagine our shocking surprise. All we could determine from the letter was we were dropped because of a claim filed on the property we had in Georgia because wind damage to our roof. Of course our response was we purchased the homeowners insurance for when we might need to use it and when we needed to use it we did. From our point of view as long as we paid for coverage and did not file a claim you were good to go, but as soon as we needed our coverage to work for us, Esurance dropped us. I was very angered and upset about this situation. Our new insurance agent file an appeal on our behave and reminded Esurance of our loyalty and long history to and with the company and that state farm had met all our insurance needs for almost thirty years. They still decline coverage. So long story short, we had to get coverage with a different provider. I am writing this complaint because of principle. I feel I have a duty to make this situation public, which is why I filed a complaint with the better business bureau. Esurance is only in the business of insurance coverage as long as you don't have to use it. I want the world to know the reputation state farm has now developed and homeowners that are covered with state farm need to make sure not to file a claim, because if you do, the same thing will happen to you. I was talking to a friend who uses Esurance and they have not had a good experience with this specific provider. They said that they were drawn in by the promise of cheap premiums but that the customer service issues was not worth it in the end. I really challenge folks who are shopping for auto insurance to do their home work and research before buying. The slight savings is usually not worth it in the end. About the only thing that I like about Esurance lately is their commercials. I don't know anyone that uses them for either auto or home insurance, and can't say that I've ever looked at pricing them vs. a larger company like State Farm of Allstate. 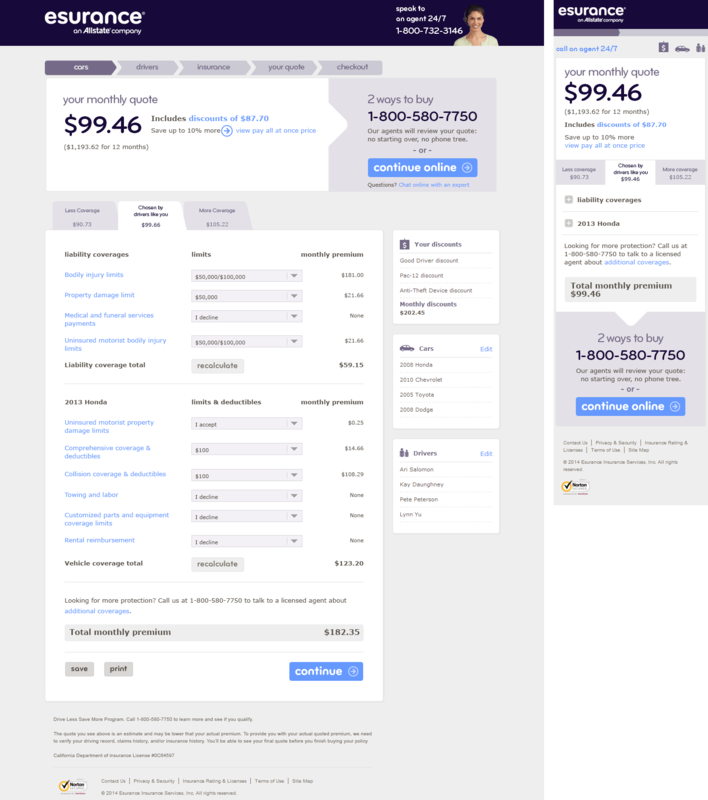 Really companies like Esurance when I think of them are just plain cheaper than the rest, and I am not likely to trust them at all.